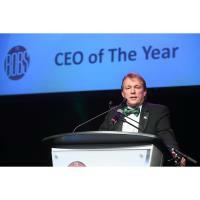 Ottawa’s premier business gala, the Best Ottawa Business Awards (BOBs) was celebrated in a grand scale at the Westin Ottawa in the presence of 750 plus guests including VIPs, celebrities, business and community leaders. BOB awards were handed out to more than 23 companies in 25 different categories, recognizing a wide range of organizations from diverse industries. "What I really enjoy about the BOBs is the story it tells about the year in business. Take, for example, Bruce Linton as CEO of the Year. We've seen Ottawa companies explode into the marijuana space in 2018 and Bruce helps tell that story," says Michael Curran, OBJ publisher. "The element to the BOBs is the number of untold success stories across our city. Attendees leave the BOBs much better informed about what's happening across our local economy."